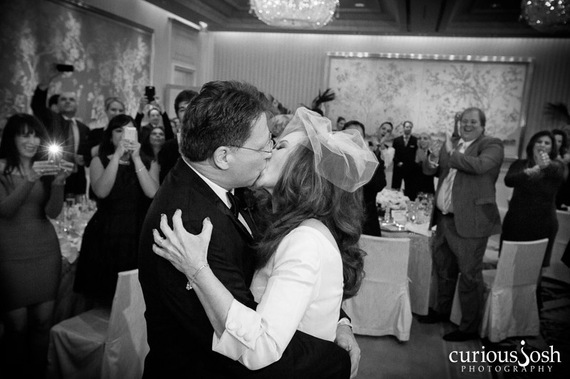 It was no surprise to me when Collier told me she had a digital crush with a fine gentleman and social media enthusiast, named Curt Buthman, whom she became friends with on Twitter over four years ago. When it comes to being a leader in social media, author Marsha Collier tops the list of influencers and is one who knows about social media engagement. As the author of over 40 books, host of the #custserv chat on Twitter, and named by Forbes as one of the Top 10 Women Social Media Influencers, when it came to her love life, there was no doubt that she'd attract a handsome man with her social media presence. 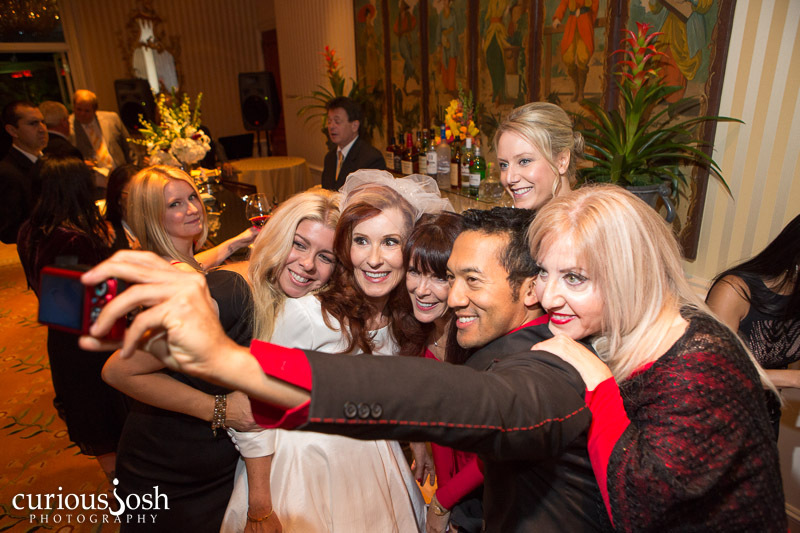 The two tied the digital knot at the social media wedding of the year at the Peninsula Hotel in Beverly Hills on November 8, 2013, with the theme of "All You Need is Love," and complete with the trending Twitter hashtag of #MarshaandCurtWedding. The bride, dressed in a vintage A-line dress from Unique Vintage in Burbank, had the dress completely custom fit and added a pocket to carry her Samsung Galaxy Note 2 phone and lipstick. "A bride needs a pocket," said Collier during my conversation with her in the Bridal Suite. Her shoes were purchased on eBay. "Why spend money on shoes that you'd never wear again?" Collier was escorted down the aisle by her first cousin British Army Colonel Simon Goldstein MBE. 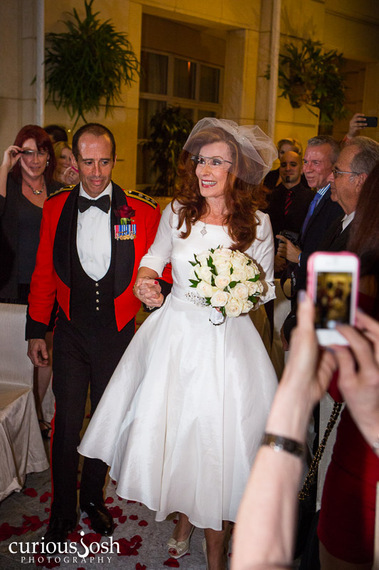 As one of Google's exclusive "Glass Explorers," Collier was the first bride in history to wear Google Glass during the wedding ceremony, as she juggled taking photos and videos, while keeping a smile on her face. Guests in the audience, myself included, held our mobile phones up throughout the ceremony and reception to share the digital highlights with our friends and followers around the world on Twitter, Facebook, Instagram, and Google+. As the bride and groom were welcomed to the reception, an announcement was made to remind guests of the Twitter wedding hashtag, along with the hotel's WIFI password. So how did these two Tweethearts who lived on opposite coasts meet? It was over four years ago when Collier and Buthman originally met on Twitter and started following each other. Both social media strategists, one day as a digital damsel in distress, Collier sent a tweet when she was having problems changing a light bulb. She turned to her Twitter her followers to see if someone could help her and asked if anyone was an electrician out there. Buthman, who prides himself in being a handyman around the house, came to her rescue and sent her a private message on Twitter. And so the digital fairytale began. Collier returned the favor when one day Buthman sent a tweet saying he needed five more people on Facebook to get his Vanity URL. Collier replied on Twitter with, "And now you'll need 4 more." 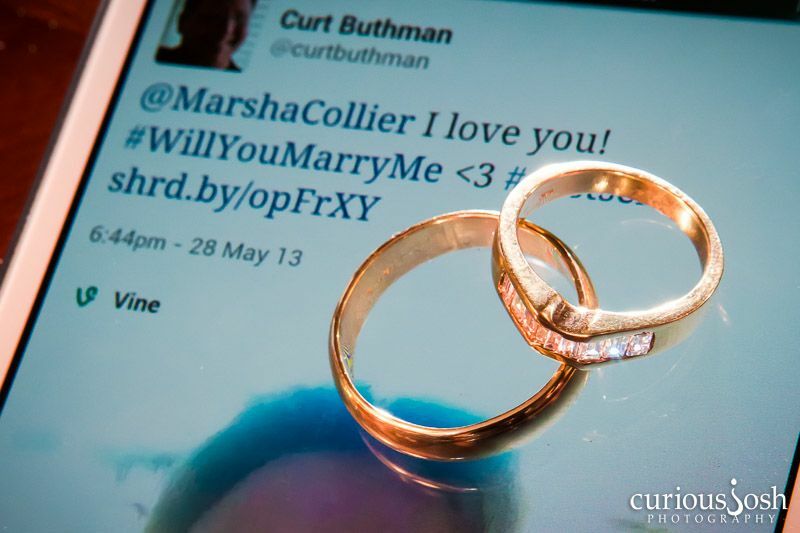 Their digital love story continued to blossom when Buthman became the first person to ever use a Vine video to propose marriage to Collier in May of 2013 with the Twitter hashtag of #WillYouMarryMe. His six-second video proposal and her acceptance on Twitter went viral and was covered worldwide by People magazine, the Huffington Post, Daily Mail in the UK, along with a flurry of television stations in Los Angeles who interviewed the social media couple. To keep with the Vine theme, the couple memorialized their vows in the first-ever Twitter Vine marriage vows to share with their friends and followers. 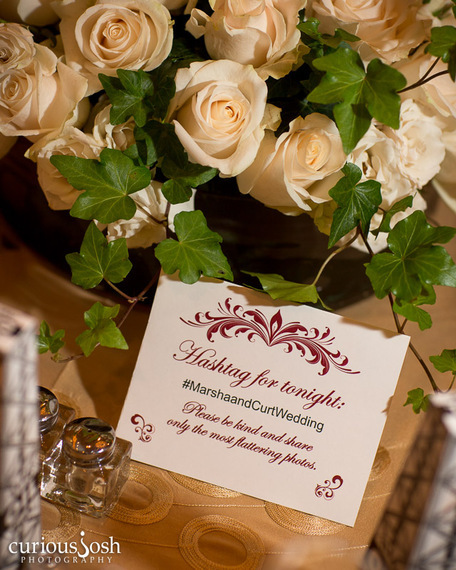 At their wedding ceremony and reception, guests tweeted, danced, and enjoyed trying on Google Glass from guest Lynn Langit and the bride herself, as they cheered on the couple to help their #hashtag of #MarshandCurtwedding become a trending topic on Twitter. The couple will be enjoying a two-week honeymoon to Paris, London, and the English countryside as they ride into the digital sunset together. Julie Spira is a top online dating expert and dating coach. She was an early adopter of the Internet and helps singles on the dating scene with her Irresistible Profiles. Spira ranks as the top most influential person in dating on Klout. For online dating advice follow @JulieSpira and sign up for the Weekly Flirt newsletter.